Zwart, our premium collection is back ! Dedicated to reinterpreting some of our classics while staying true to our DNA : bold cuts and standout quality, it’s a no-compromise collection. Introducing a new palette of colours, readjusted cuts and Japanese fabrics, discover what changes Zwart holds for SS18. Why is Japanese fabric so neat ? Japan has long been inspired by the way people used to dress in the USA : think edgy and masculine silhouettes and resistant workwear. They’ve perpetuated this way of designing and making clothing, synonymous with handmade production, sturdy fabrics and products meant to last. We’ve quite bought into this way of seeing things too. Using this fabric allow us to make qualitative garments set to last. This particular length was pretty hip in the US a couple of decades ago. Mainly worn by punks in a workwear style with white socks and matching shirt and pants. Now coming back in style, this length can be associated with both classic and more casual styles. 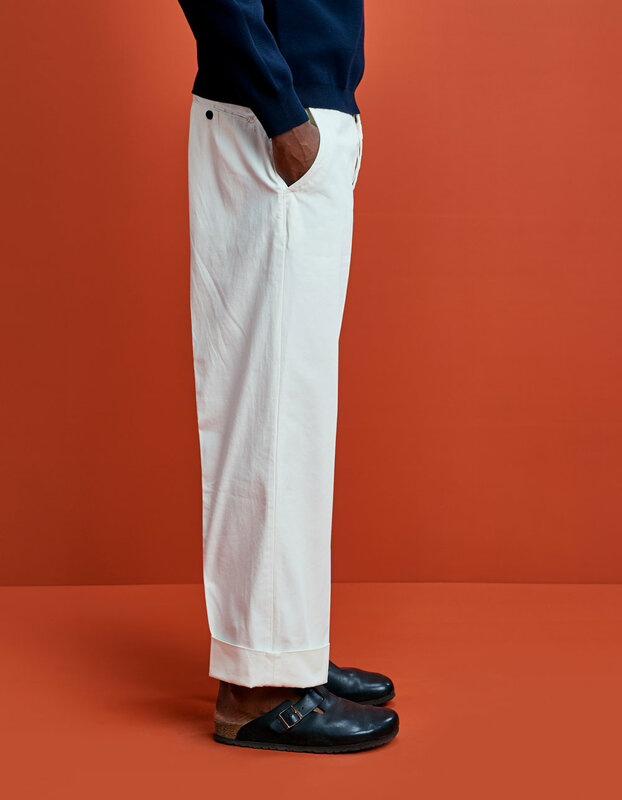 We like the infinite possibilities of matching our 28” length pants allow. Dusting off our Autumn-Winter range, these pants now come in new colours for Spring-Summer : white, beige or navy blue. 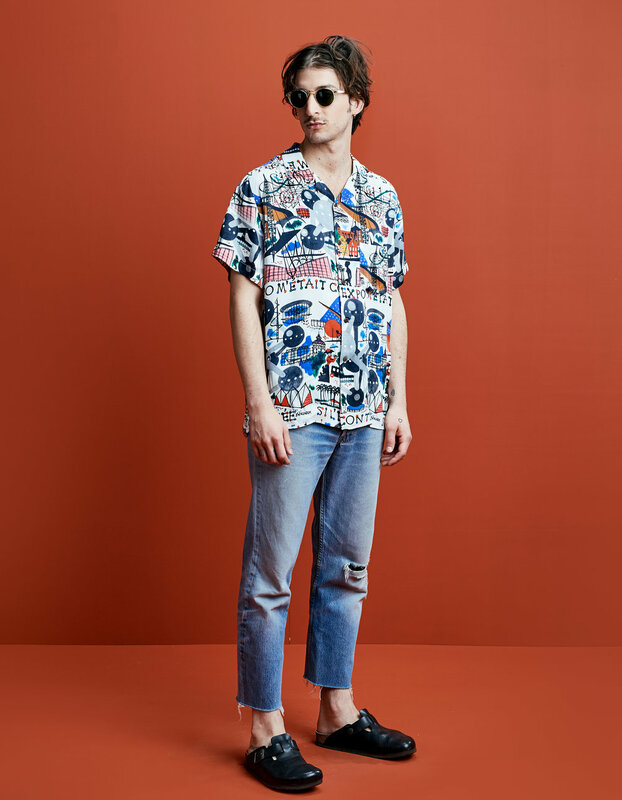 As a nod to our previous campaign, Expo 58, Zwart also features something special from this particular time : a shirt with two different authentic prints from Lucien De Roeck, graphic designer for Expo 58. Original and colourful, these two shirts come with carefully crafted details such as coconut shell buttons. We’d also like to talk about our Limper coat. 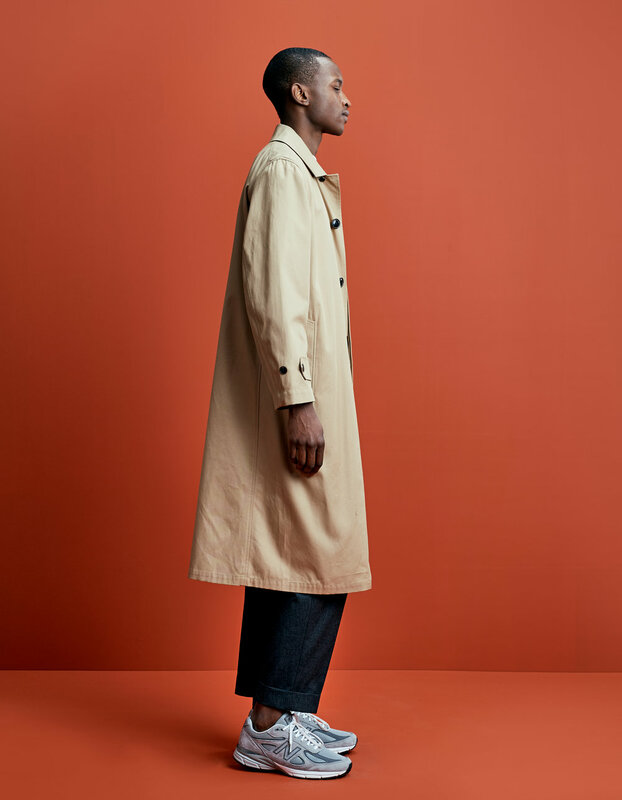 We all know all too well how the weather can be fickle so it’s never a bad idea to have a trench coat to rely on. Reminiscent of the 60’s, its classic shape and well-thought-out details make for a gutsy style. Zwart will guide you all the way to AW18 with some new things coming in the meantime. We’ll have highly qualitative knits made in Britanny and Italy, regions known for their unique expertise in knitting. 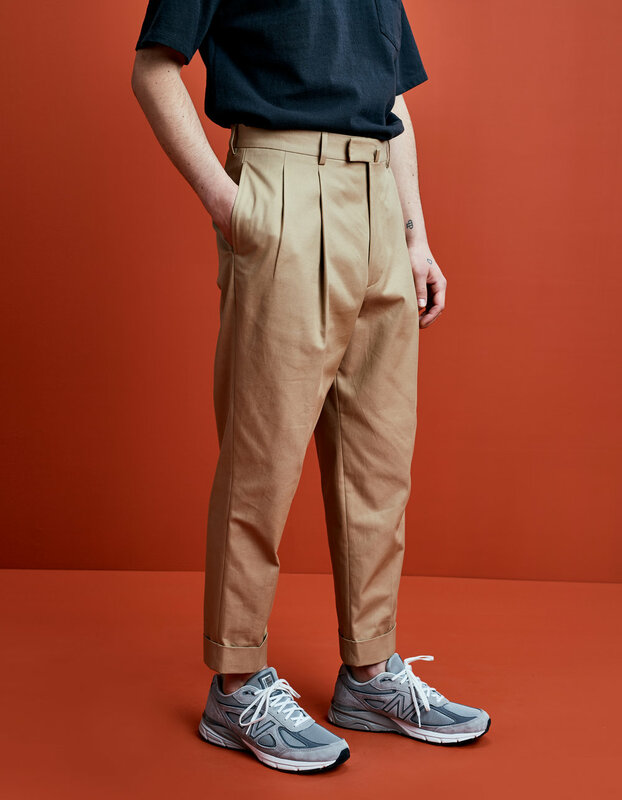 Our 28” pants Fon will also come back in a wool version just so you can sport your new favourite length all year long. We’re ready to welcome spring with arms wide open! It’s the time of the year to update our wardrobes with revisited classics and new cuts set to become timeless favourites. Discover our three new (and already favorite) pants.